Davis Spirit Day ~ Earn extra points!! 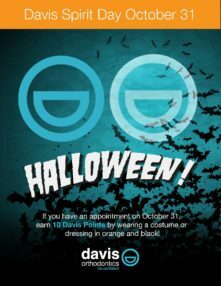 Davis Orthodontics spirit days are back!! Easy way to earn 10 extra Davis points. 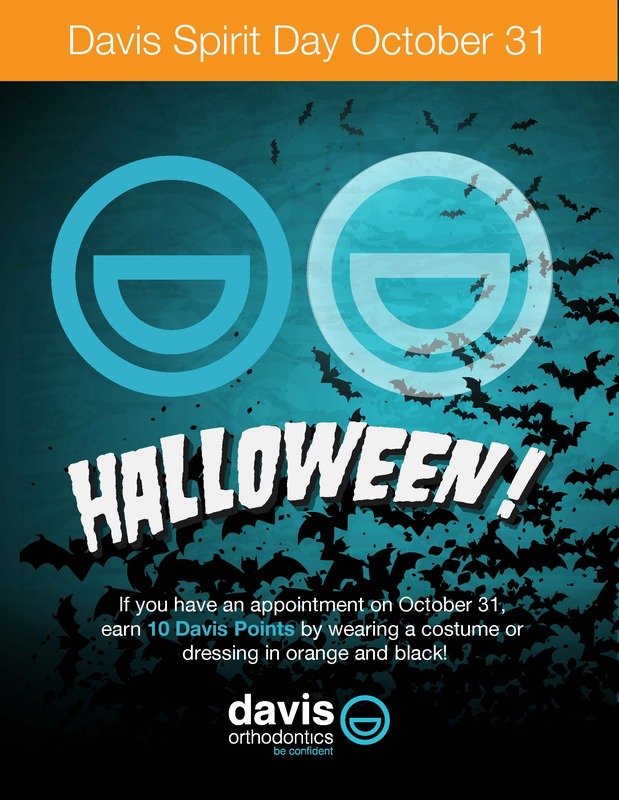 If you have an appointment in our office on Tuesday October 31st wear orange and black or your Halloween costume to earn 10 Davis points. We can’t wait to see you all dressed up.